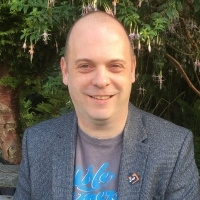 Christopher Power is Vice-President of The AbleGamers Charity and is an Associate Professor in Human-Computer Interaction at the University of York (UK). For the past 15 years, he has worked passionately in research for inclusion, with an aim to lessen inequality for people with disabilities and older adults in society. He has been the technical lead on inclusion projects in a diverse set of domains including the web, apps and games resulting in over 70 peer-reviewed publications. He believes that games provide incredible opportunities for accessible player experiences that can deliver well-being and quality of life outcomes for people with disabilities and older adults.